Haven’t you heard the news? New Jersey online casinos are home to one of the biggest progressive jackpot slot! 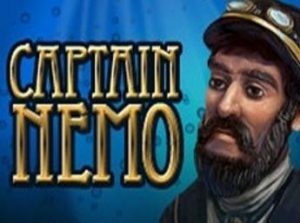 Indeed, Captain Nemo is a well-known slot by casino players around the world because it always delivers fame and riches to the winners. The jackpot frequently exceeds $500,000 and let’s face it, with this kind of cash you can buy yourself pretty much anything! It’s also worth knowing that Captain Nemo Jackpot can be won on Millionaires club III video slot. Since both games contribute towards the same prize pool. Without further ado, let’s look a bit closer at the game features and how you can win the jackpot on Captain Nemo. How to trigger the bonus features of Captaine Nemo video slot? To sum up, the gameplay of Captain Nemo is very straightforward. In fact, it only contains one bonus which is the Pick n’ click game. You’ll activate the mini-game with 3 or more Scatter symbols. 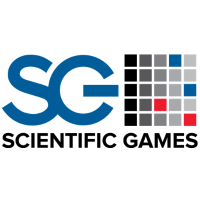 In this slot, the Scatter symbol is the game logo. What’s great about Captain Nemo is that you won’t get a defined number of click for the pick n’ click bonus game. In short, you can win multipliers, instant coin wins as long as you don’t reveal 3 strikes. Or reveal 3 jackpot symbols which of course, will end the rounds as you walk away with the money. Additionally, you’ll love to hear that in the bonus game, any multipliers you reveal will add-up. For instance, if on your first click you get an x2 multiplier, on your second click an x4 multiplier, it means your winnings will actually be multiplied by x6. Why should you play Captain Nemo video slot? First of all, it’s worth knowing that the paytable of Captain Nemo is very high. In fact, you’ll pocket 100 coins with a 5-of-a-kind of the lower-paying symbols. The paytable is especially great when you compare it to other progressive jackpot slot like Divine Fortune where a 5-of-a-kind of the lowest-paying symbol give 60 coins. Granted that Divine Fortune has a bit more feature then Captain Nemo. However, it seems that the Captain Nemo Jackpot always climbs a little bit higher than the Divine Fortune one. Secondly, in our opinion Captain Nemo, has better graphics and animation then Millionaires club III that we’ve previously mentioned above. The last time we reviewed this game, the jackpot exceeded $485,000. Which is pretty impressive, don’t you think? Head over to any of the NJ casinos listed on this page to see how much you could win today. And remember to claim a casino bonus when you deposit. It will give you more spins for your money and by the same token more chances to win the jackpot. Good luck and have fun!